If you drive a car, you must have car insurance, but you should also make sure you get the best deal for you. Compare car insurance companies, view policy details and get quotes online to find the cover that is right for you at a price that fits your budget. This is a list of featured car insurance providers. Great deals for more experienced drivers, Great deals for couples who live together,lower premiums for those who drive fewer miles. Keep your NCD safe with the Aviva uninsured driver promise, multi-car motor insurance discounts. RAC Members enjoy access to an enormous range of motoring products and services throughout their driving lives, ranging from the familiar and much appreciated roadside assistance, to continually updated legal and technical advice and up-to-the-minute travel information. AA Car Insurance has been awarded a 5 star rating by Defaqto, which means it is among the best products in the market, offering great online discounts for our customers. You can then earn extra discounts for good driving with a black box. We treat you as an individual and reward you with up to 20% off over the year. There are no curfews on Ingenie policies too! Online comprehensive from 1-28 days, Drivers aged 19 to 75 years, Insure yourself on a different car. The Insure Learner Driver website provides temporary & annual comprehensive insurance cover for provisional licence holders learning to drive in someone else’s car or their own car. Damage to tyres, the windscreen and the undercarriage, Theft of secured baggage.Same price whatever your age. Direct Car Excess Insurance aims to provide excellent customer service, providing a range of cover to suit all car rental insurance needs. You can be confident in choosing us to insure your car hire. 5 Star car insurance from £204. 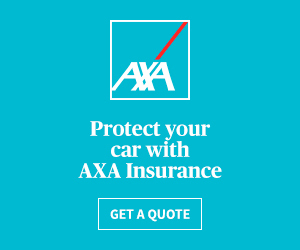 With AXA you&apos;ll get car insurance you can count on - we pay out on 99% of claims. As well as being ready to help 24 hours a day, every day, you can rely on car insurance awarded Defaqto’s 5 Star Rating – the highest standard. To make everything more straightforward. We are an online insurer so we use email and SMS to keep in touch and send your documents. We keep costs down. You get brilliant service. It’s simple.